We aim to make it easy for our customers to report an issue and get a repair service that meets their needs. Our priority is to deliver quality, responsive repairs first time, every time. By supplying Canadian built products and local service. 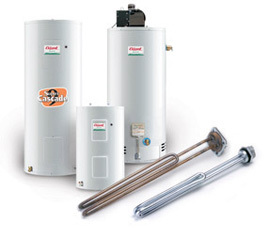 24 hours a day 7 days per week we will answer your call on any issue with your hot water tank or furnace that you rent from North Bay Hydro Services. Our Certified Technicians will get in touch with you within 2 hours of first contact to assess the issue with your equipment. Provide a one-stop shop for maintenance through North Bay Hydro Services local phone number. Repairs can be reported to us by phone 24 hours a day, 7 days a week, by calling 705-474-8100. Provide all customers with details of North Bay Hydro Services repair policies, including details of the repairs that are the responsibility of North Bay Hydro Services and those that are a tenant or leaseholder’s responsibility. Provide a friendly and efficient service when you contact North Bay Hydro Services to report a repair. We will make an order to the appropriate trade and agree on a convenient appointment to do the work.